The most basic of the Johnnie Walker family, the Red label is iconic and a favourite for mixing. I am not keen on the Johnnie Walker Red Label neat (straight up) but it is especially enjoyable with some cola or in mixed drinks/cocktails that require whisky. Johnnie Walker produces good quality whisky, but as the Red Label is its cheapest whisky do not expect much in terms of depth and flavour (you do get what you pay for, most of the time). 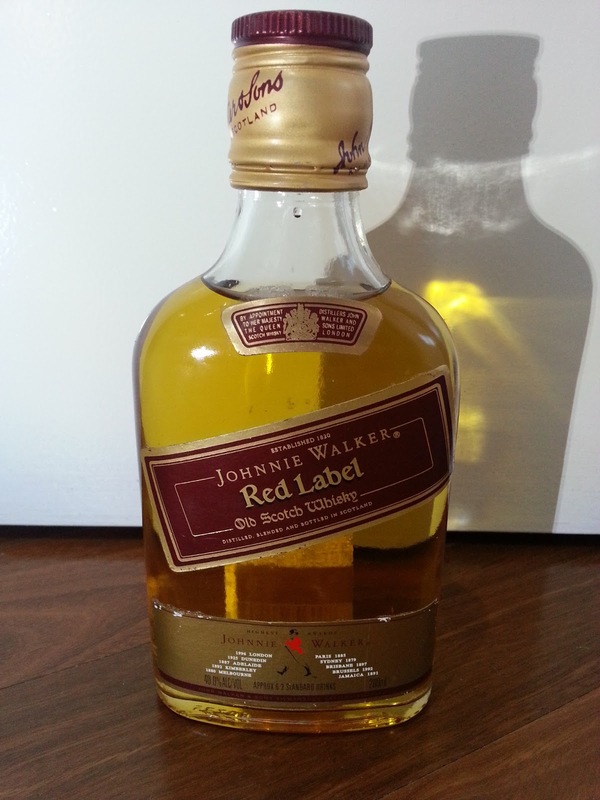 The Red Label is also marketed on the Johnnie Walker website as a whisky that is ideal for mixing. I agree with this, although it is enjoyable neat. There is really not much to say about this whisky. It is good, not fantastic, but a good reliable whisky that is great for mixing. Below is a picture of a nice old vintage bottle of Johnnie Walker Red Label, which I will open and review once I have a chance to do a little research on its date of bottling/vintage. I will do a separate review for this vintage Johnnie Walker Red, because batches can change over time.